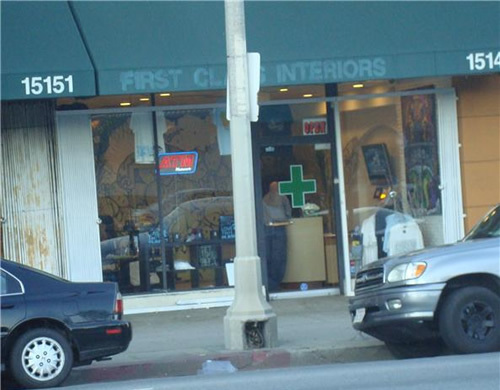 One day, when the confusion and controversy surrounding medical marijuana finally settles down, the dispensaries that continue to operate in the Los Angeles area will probably have a great deal in common with 4Ever20. 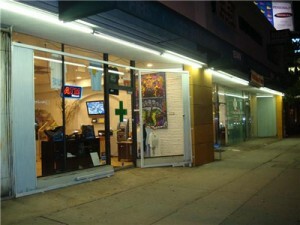 Opened in June 2009, this inconspicuous dispensary occupies a modest store front on a busy stretch of Ventura Blvd just west of the San Diego Freeway in the San Fernando Valley. Sandwiched between a Chinese antiques dealer and a massage parlor, it is a well lit but low key operation that could be mistaken for a high end boutique or a tanning salon. The owners say the high volume of traffic flowing in front of the store gives them a greater measure of security than stand-alone operations tucked into a more obscure locations. In the six-months since opening the new shop, they say the only challenge has been to secure enough product to satisfy demand and work in a highly completive landscape. Not once has any city or law enforcement official stopped in or otherwise contacted them about the operation. They also say they have become friendly with the other merchants occupying the same retail strip and they have had no incidents of unruly or disrespectful people in or around the shop. About 60 to 80 people stop in each day to obtain medical marijuana, the proprietors say. Inside, 4Ever20 a small circular Formica reception desk abuts the wall beneath a large flat screen TV. In the far corner, away from the entrance is a small water fall that flows into a stone-crafted basin where four large Koi fish mill about. The opposite corner has a comfortable seating area. The center and front of the retail space includes black merchandising displays that contrast with the white walls. Offered for sale are tee shirts, tote bags (including one that says “Love The Planet”) and other gift items. The walls are adorned with the eclectic paintings from local artists hoping to gain exposure for their work. For those passing by on the busy street outside, the only hint to the store’s primary purpose is a large green cross neatly painted with white trim on the door. The only other signage is a lighted sign that conforms the presence of an ATM kiosk. Visitors to the dispensary are greeted by a friendly staff that is eager to share their knowledge and offer referrals to local doctors. No one is permitted into the back room where the marijuana is dispensed without a valid ID and a doctor’s medical marijuana recommendation. The owners hope the low profile and upscale image will enable the 4Ever20 to compete in a area of the Valley that has seen a multitude of dispensaries pop-up in recent months. In fact, the store front was selected after the former location in Encino ran a foul with the neighbors, which included a Catholic church. After a letter from the local district attorney, they looked for a space less lightly to draw unwanted attention. He says 4Ever20 is a non-profit operation that has succeed in keeping a low profile while attracting regular patients–they never use the word “customers“–who appreciate the unhurried atmosphere and the high level of expertise. Snowden and the others operating the dispensary pride themselves on having extensive knowledge of the medicinal qualities of marijuana. Nine times out of 10, he says, the patients select the strand he or one of the staff recommend. 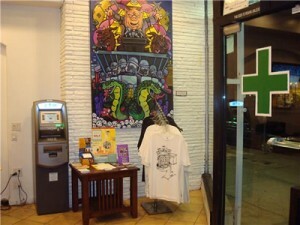 Two other elements that distinguish 4Ever20 from most dispensaries, in addition to an ATM, the store accepts all major credit cards. 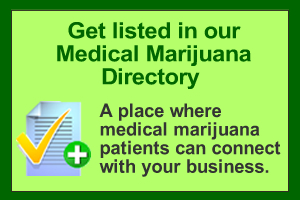 It also does not offer any type of hashish or “edible” form of marijuana. While Snowden notes that the laws surrounding medical marijuana may still be murky, it is clear that those are areas that are still legally out of bounds. One persistent concern is the highly competitive market, especially in the west valley area that become a hot spot for dispensaries. “We have people who come in for a first time patent promotion and they never return. We call they gypsies. They are just looking for a bargain. Hopefully that will change when they figure out how to regulate this whole thing,” said Snowden. I bet its great working there, I know I would like to go to work every day and smell the aroma of bud all day long while working.